Rufus Norris, director of the National Theatre, recently wrote: “It is every theatremaker’s aim to preserve the magic onstage by concealing the workings behind the scenes.” Who can disagree? But what about the National’s backstage tours? And let’s forgive the new walkway, which allows the public to gawp at the workshops, prop shop and paintframe. It provides views that are dull enough to increase the mystery rather than illuminate it. The online videos by backstage workers describing their work could, if we were generous, be excused as encouraging young people to consider a career in the theatre industry. Elsewhere Norris’ comments would seem to describe a principle more honoured in the breach than the observance. When it was built, Leicester’s Curve boasted that the building would show the theatre “inside-out”. It was roundly criticised at the time for dispensing with any kind of traditional backstage areas and by creating a cage effect that would allow the public to see the magic they had just witnessed being turned back into piles of wood and metal. Soon the security issues caused by offices and dressing rooms insufficiently cut off from the public areas had to be addressed. It would be interesting to know how often the crew’s work is, in fact, used to provide what was once described as “the production performance”. One theatre famously allowed public tours of the auditorium during fit-ups. To the management’s embarrassment, the crew put up a sign at the front of the stage that read: “Please do not feed the animals”. YouTube is full of backstage videos, both official and unofficial, which frustrate the aims that Norris claims are common to “every theatremaker”. This is simply part of the modern world and the trend will certainly continue. Theatre is having to come to terms with live screenings, with venues that were designed for very different kinds of production needs and with a growing desire by audiences to experience live performance in non-traditional spaces. We are good at all that. Things change and we accommodate them. We have long since accepted that “preserving the magic” can no longer be done by dropping a velvet curtain. And it is an even longer time since it was considered completely unacceptable to let any lighting equipment be visible to the audience. A distinguished illusion consultant who had been a cabaret performer went off the record to note that the difference between the two jobs was that as a solo performer the audience tried to guess how the tricks were done, but in a theatre production they didn’t want to know for fear of spoiling the magic. For backstage workers, it is against their every instinct to be seen by the public. 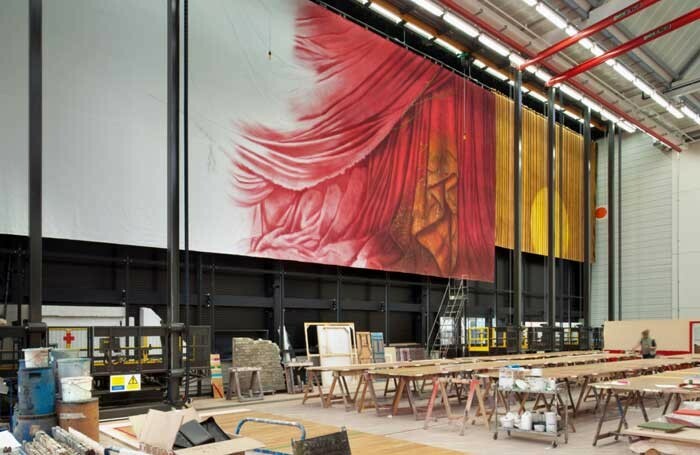 Although directors, designers and backstage workers might all agree with the director of the National Theatre, we’ll have to find other clever ways of preserving the magic.